Home > Miscellaneous > Hely Weber Kuhl Shields Brace for patella stabilization during athletic competition. The Hely & Weber Kuhl Shields brace provides dynamic patella stabilization across the full movement of the knee. 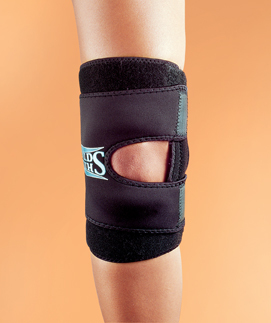 The Shields brace will control the patella in athletic competition by aligning the glide and tilt of the patella. Made of cooling perforated neoprene, the Shields brace has a simple wrap-around design for easy on and off application. 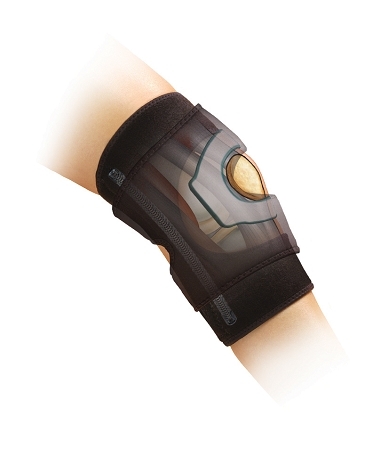 The brace doesn't bunch, and the soft gel patellar buttress keeps the bones in a pain-free position.